The private spa and ocean views haven't been enough to sway potential homebuyers. So a Malibu listing agent is throwing in a 470-horsepower incentive -- a Ferrari F40. The F40, one of only 213 in the United States, comes with the $4.4 million mansion on the north side of Malibu. The car is owned by listing agent Vahe Hagopian of Claudius Estates. "Nothing is moving in this area," Hagopian told the New York Times. "It’s unprecedented." Even a high-mileage F40 that’s been in an accident can sell for $350,000. 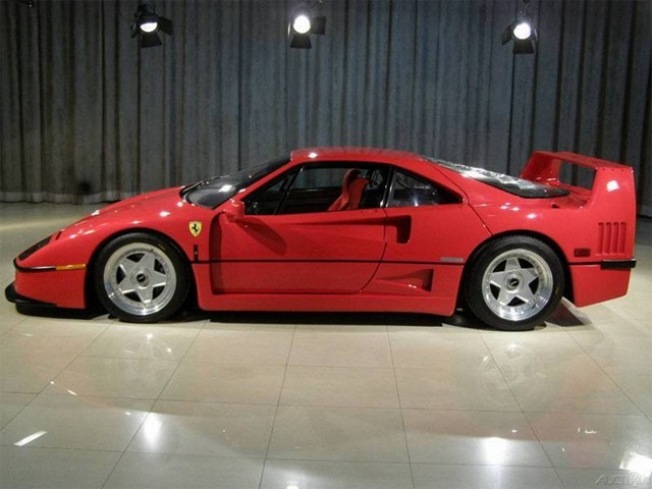 Hagopian’s F40 -- which he had listed in a luxury-vehicle classified digest before removing it to sell alongside the house -- has only 734 miles on it, which could push the price past $600,000. That also makes it one of the lowest mileage F40s on the market. Unlike the home, the F40 is built for speed -- not luxury. Forget about satellite navigation and cupholders, its only features are those necessary for high performance. The V8 engine produces 478 horsepower. As for the home on Puesta del Sol Street, it has five bedrooms and five bathrooms, and the Ferrari isn't the only example of Italian style. The house also has several statues imported from Italy. The Ferrari will be part of the deal until June 30.